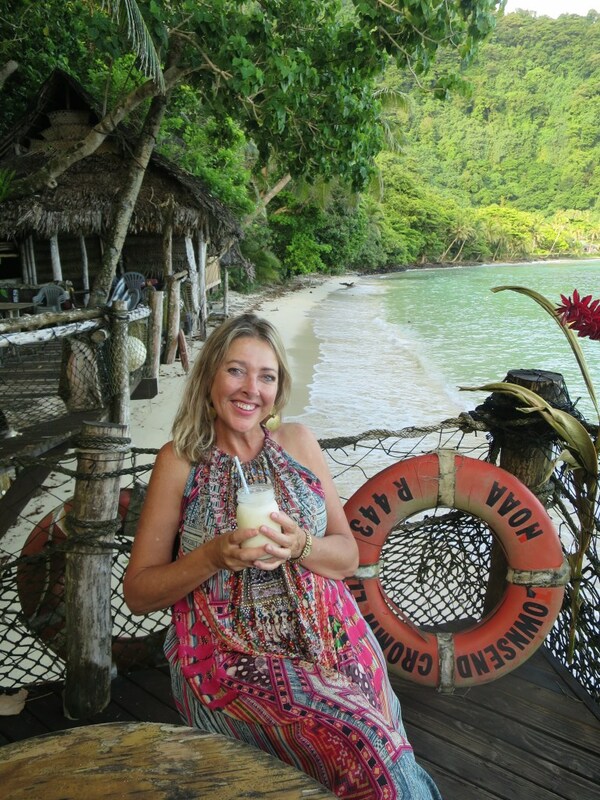 Me enjoying sobriety at Tisa’s barefoot bar in American Samoa in Feb 2019. Heavenly—and the coconut infused mocktail was divine! Many people mistakenly believe drinking alcohol will increase their happiness. But alcohol is a depressant and in large quantities is draining on your body and mind. Alcohol has been found in many studies to significantly reduce serotonin 45 minutes after drinking. The sleep rhythms of people who have drunk alcohol the day before are significantly different from control groups who didn’t drink alcohol but very similar to patients with depression. Numerous studies suggest that low serotonin is the mechanism behind both depression and anxiety after alcohol consumption. Experience may have already taught you that too much booze increases anxiety, muddles the mind, ignites aggression, reduces responsiveness, and ultimately depresses. It’s also hard to quit—alcohol is one of the most addictive legal drugs on the planet. To improve their mental health many people limit their drinking or consciously decide not to touch a drop. Keeping their resolve often takes extraordinary willpower. Author and public speaker Deepak Chopra gave up drinking. “I liked it too much,” he once said. Steven King, after almost losing his family and destroying his writing career, managed to quit. Other people like Amy Winehouse devastatingly never made it. At only 27, she died of alcohol poisoning in 2011. The risk of suicide also increases for stressed people who turn to drink. As I’ve already discussed, alcohol abuse and excessive drinking is a major cause of anxiety and depression, impairs mental reasoning and critical thinking—increasing the likelihood of making tragic and often impulsive choices. There is also clear evidence between alcohol consumption and violence and other types of aggressive behavior. Aggressive behavior is also heavily linked to low serotonin levels. Some experts suggest that aggressive behavior after a period of alcohol may be due to alcohol’s disrupting effects on serotonin metabolism—as little as two standard drinks can ignite anger. To better understand why people often become aggressive and violent after drinking alcohol, researchers in Australia used magnetic resonance imaging (MRI) scans to measure blood flow in the brain. They noted that after only two drinks, there were changes in the working of the brain’s prefrontal cortex, the part normally involved in tempering a person’s aggressive levels. Risking ruining your relationships, ruining your career, sacrificing your sanity, and in the extreme, taking your life, is a massive price to pay for a mistaken belief that to be happy, or to numb your anxiety or cope with stress you need to drink more booze. Boost your resilience beautifully by exploring your relationship to drink and approaching it more mindfully. Consider, a period of sobriety. Instead of focusing on what you may be giving up, turn your mind to what you may gain—a better, more energized version of yourself. Your body never lies, but many people soldier on, ignoring the obvious warning signs that it’s time to scale back their drinking or lose the booze. …are just a few of many signs that it may be time to control alcohol before it controls you. It’s easy to rationalize these feelings away, but the reality is that your mind, body, and soul are screaming out for liberation. Have the courage to say ‘yes’ to pursuing a more energizing alternative. Your body is a great source of wisdom and counsel—one that is increasingly respected by psychologists and medical professionals. Somatic Psychology, a branch of traditional psychotherapy, addresses what for so long was missing in the field of talk therapy. 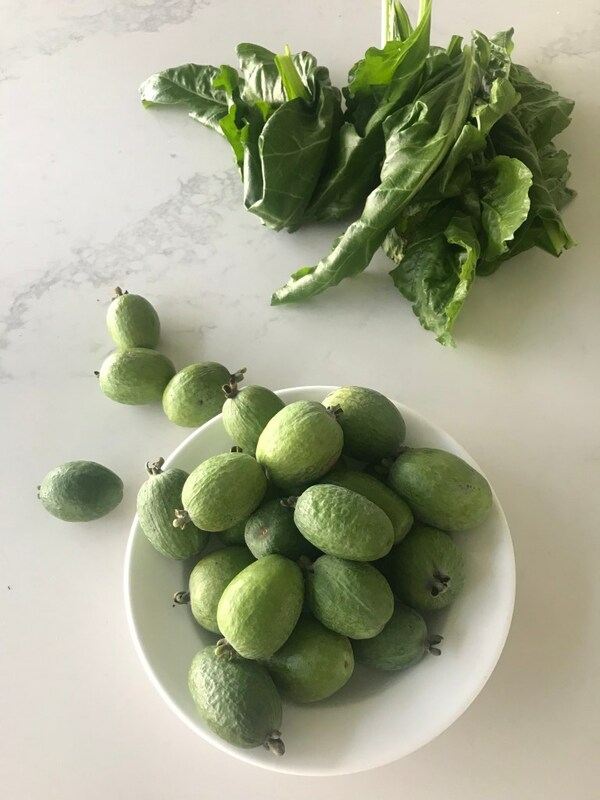 Soma is a Greek word meaning “the living body” and is grounded in the belief that not only are thought, emotion and bodily experience inextricably linked (creating a bodymind), but also that change can be brought about in one domain of experience by mindfully accessing another. You may consider asking your body next time you feel tempted to drink or feel the first flush of alcohol hit your system, “what does this beer (or whatever you are drinking) want me to know?” This may seem weird, but stick with me! My mind, however, was telling me a different and conflicting story as it rattled through a range of old stories and false beliefs. In this case, as in others, I trusted my body barometer. Very often people don’t listen to their body barometers until it’s too late and health havoc can set in. Leonardo da Vinci once said that people were more motivated to act by fear than they were by love. I’ll let you decide, but whether the joy of health nirvana or the fear of health havoc rules supreme, as long as you heed the call for change you’ll always win. If alcohol is a known cause for more than 60 different adverse health conditions, I’m betting sobriety is a known cause of more than 60 different positive health conditions—maybe even triple that. But finding data to back me up is hard to find. It seems more money is poured into measuring harm than keeping statistics related to health. Keep your own stats and set yourself up to succeed. To support and maintain your sobriety, really absorb all the benefits. Enjoy the anticipated positive results of sobriety at the start of your day, in the evening, or whenever you have a spare moment. When you are sober, be sure to be mindful and really enjoy the results of your efforts. For example, as I write this chapter, notice I’m feeling energized, clear-headed, purposeful, and excited. I have the youthful expectant energy of a child. I feel a sense of self-worth with all that I have achieved today. I think I may take a wee break now, reward myself and go out and play! I also draw my attention to how much I appreciate and value my improved relationship with my partner and my mother, and I love, love, love that I’m a positive influence on my 26-year-old daughter who has chosen to go alcohol-free and is not only loving it but is positively influencing all her friends. Her anxiety has disappeared and she is glowing. I have way more self-belief and am both less critical of others and myself, and no longer hypersensitive to others barbs and attacks when I don’t drink. Did drinking less alcohol do all that? Not entirely. 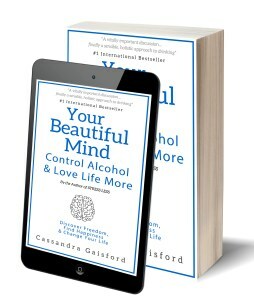 As I said earlier, controlling alcohol requires a systemic approach and making lifestyle changes both in health behaviors and other factors which I discuss throughout my sobriety books, Mind Your Drink and Your Beautiful Mind. Putting the spotlight on the harm alcohol caused me, my family, my loved ones, within my community and the world at large also drives me. Negatives can be positives when seen in the right light and used constructively. “Pretty much four months after I decided to say no to booze, but the little bugger has slipped into my psyche again. Last night and the night before I had two vodkas and orange—freshly squeezed. 4pm-ish. I watched myself, observed myself. The knowledge that I was tired, weary, that I needed to meditate. But I wanted that quick fix. Hello Sunday Morning! I’m so grateful for John’s drunkenness last night. It’s strengthened my resolve. I want nothing to with the poison of drink—unless it’s with a refined meal or a celebration. I’ve woken up clear-headed, clear-hearted, my energy bright, looking forward to the day. Even if people think it’s no big deal to drink a glass of wine at dinner it’s important to know your body’s reaction to alcohol and not just go along with the crowd. I’d forgotten my assignment on spiritual approaches to the treatment of alcohol addiction. I must revisit it. His eyes are dead, remorseful—as though regretting his foolishness. His skin is gray, pallid, like that of a dying man. Rumi is right….an ugly statue sits where his spirit should be. Even the Romans once ate and drank from a lead cup. Poison in poison. When you pollute your body with alcohol, a known carcinogen, and neurotoxin, it’s going to play havoc with your health. Big time. Perhaps not today, not tomorrow, but it will happen, and when it does, I doubt you’ll be happy about it. You may even swear and curse your stupidity, as my step-father did when he was diagnosed with terminal lung cancer, “You bloody stupid fool,” he said, sadly and stoically accepting his fate when told he had a month to live. Having enjoyed smoking for many years, I know he would have done anything to undo the wrongs of the past. And that just a few ways that alcohol can play havoc with your health. The increased risk of developing arthritis, cancer, heart disease, hyperglycemia and hypoglycemia, kidney disease, obesity, nervous disorders, and many psychological disturbances can all be attributed to alcohol abuse. And as you know, acute alcohol poisoning can cause death. Find out more about short and long-term effects that drinking alcohol has on many different parts of your body here—https://www.alcohol.org.nz/alcohol-its-effects/body-effects. Your mind and body may seem like separate entities but when you let your body override your craving mind you find a reservoir of unbridled power. Your body barometer never lies, and as we’ve seen, can save your life by expelling toxins from your system. When you drink alcohol or feel hung over what do you notice? How does this differ from times when you feel sober? If you fall off the wagon and start drinking again don’t be too hard on your beautiful self. Practice mindfulness and self-compassion and tune into your body barometer. How do you feel? Have the headaches, nausea, depression, aggression or anxiety returned again? 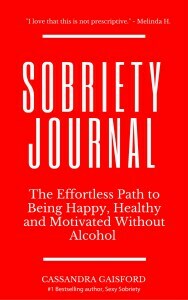 Journal your experience as I did to reinforce your awareness and to strengthen your resolve to stop drinking again. 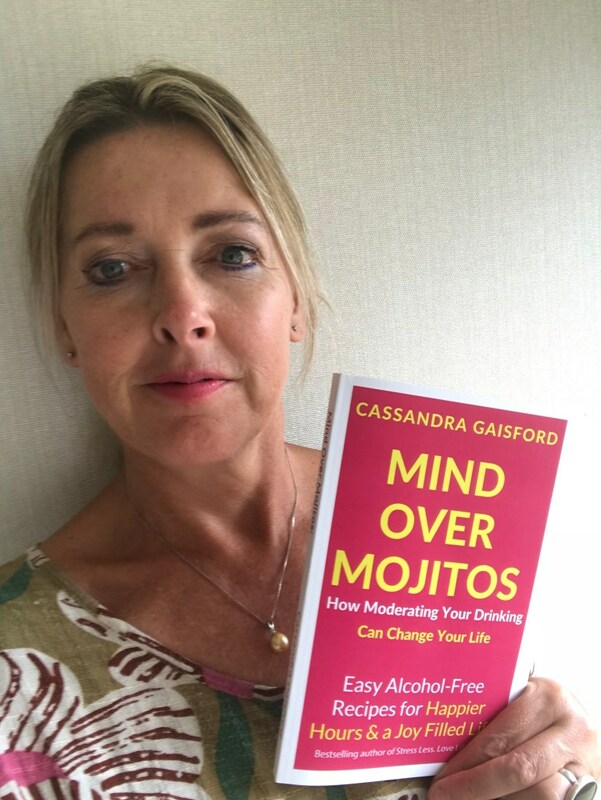 In my books Mind Your Drink and Your Beautiful Mind, I break down the path to sobriety in ways you can easily understand and apply to your own life. Knowledge is power. Ultimately long-term success in winning the war on alcohol can be explained through medical science and psychology—and understanding the psychological warfare tactics of the world’s best marketers. You do realize that the booze barons act narcissistically to encourage you to act against your best interests, right? Understanding alcohol from all angles offers substantive reasons for why it keeps you hooked. Importantly, what I’d love you to take away from reading this book, and those focused on controlling alcohol is that there is no one path to sobriety. You may or may not be able to go it alone, you may need help, you may need therapy, but regardless of the approach you take, controlling alcohol is a long-term lifestyle change. Very often, as I’ve said, it may mean spotlighting and healing the wounds of your past. 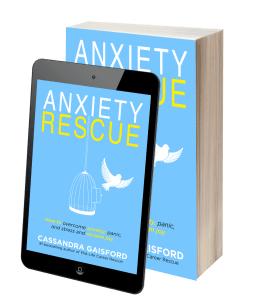 In my books Mind Your Drink and Your Beautiful Mind comedian and former addict Russel Brand shares his story of childhood sexual abuse in his book Recovery: Freedom From Our Addictions. In his book, he reinterprets The Twelve Step recovery process and champions the call for abstinence. Similarly, Duff McKagan, the former bass guitarist of Guns N’ Roses and one of the world’s greatest rock musicians, shares how he used alcohol to self-medicate his agonizing anxiety. The origin of his pain he says stemmed from being asked to lie to his mother about his father’s affairs, their subsequent divorce, and his father’s own heavy drinking. McKagan devised his own program of anxiety treatment and alcohol recovery. Read the inspiring story of a man who partied so hard he nearly died, in his book It’s So Easy and Other Lies. Anne Dowsett Johnson, a journalist and self-described recovering alcoholic, and the daughter of an alcoholic herself, urges us all to wake up to the willful blindness to the damages of drinking in our culture, and explores disturbing trends and false promises peddled by alcohol barons in her book Drink: The Intimate Relationship Between Women and Alcohol. For Dowsett, medical intervention through prescribed anti-depressants played an instrumental role in her recovery. AA’s 12-step approach didn’t work for stressed entrepreneur Russ Parry. But years of therapy, couple counseling, renewing his faith and a program of recovery offered by his church did—alongside changing his relationship to work. 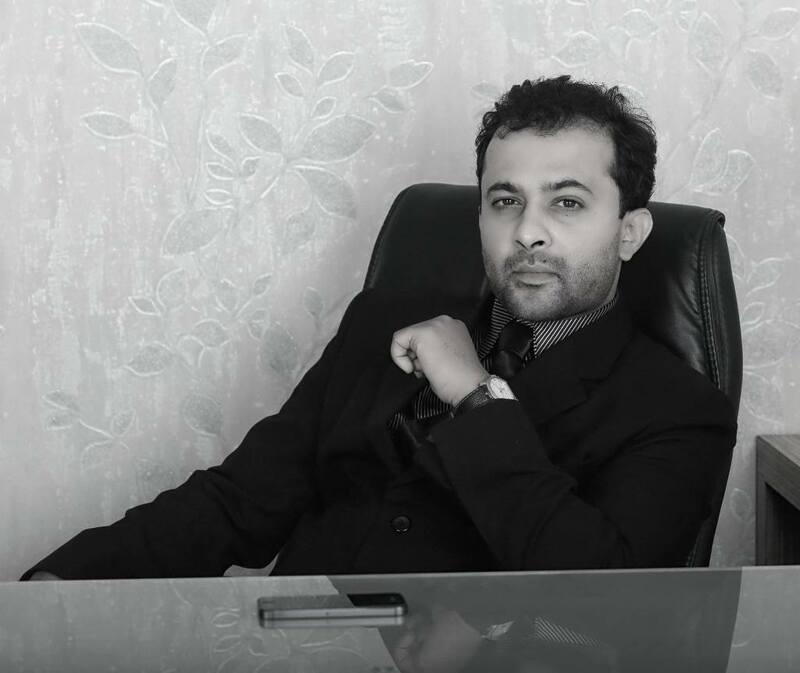 He shares his journey to abstinence in his book, The Sober Entrepreneur. These are just some of the many people and books I have come to admire as I embarked on my own journey to understand why I once drank so much and why I couldn’t stop. For these people, sharing their stories was part of their healing process—that and the desire to pay-it-forward. 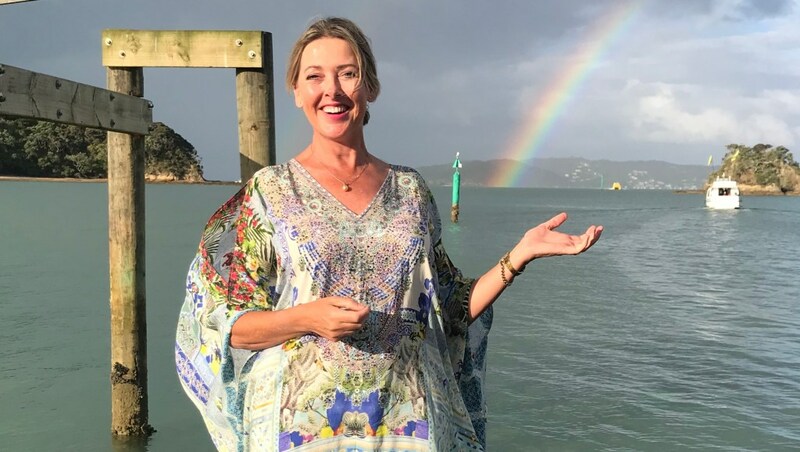 In my book, Employ Yourself from my bestselling Mid-Life Career Rescue series, I share how health coach Sheree Clark numbed her anxiety, stress and job blues by over-drinking until she realized booze was never going to be a long-term sustainable solution. She’s sold her business and created a new career as a healthy living coach. She still enjoys a drink—but that since her career change that she couldn’t be happier or healthier. Shaming, blaming and naming is not the cure, compassion understanding, and living life on your terms is. Abusing alcohol is not a disease. It’s a coping strategy—one, before reading this book, you may not have been aware of. 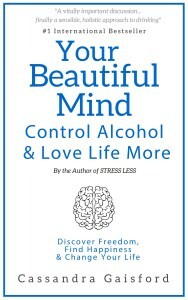 As you read this book, you’ll reclaim your power and decide whether alcohol has anything positive to contribute to your life at all, or whether you’d be better off putting your money, your energy, your time, your happiness and your health into something, or someone, who’s a less abusive lover. Yes, you will decide—it’s that simple, and at times, that difficult. 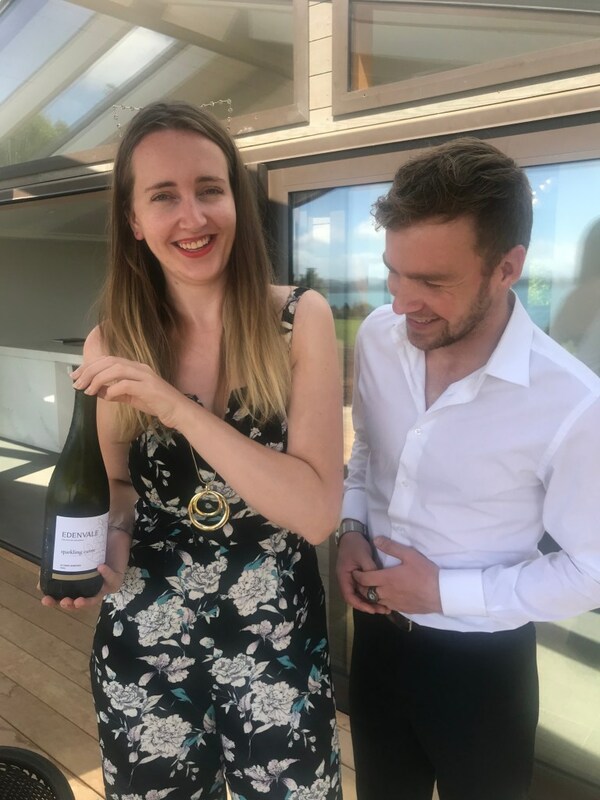 My daughter, Hannah, and her fab partner Josh, enjoying alcohol-free wine at Christmas.